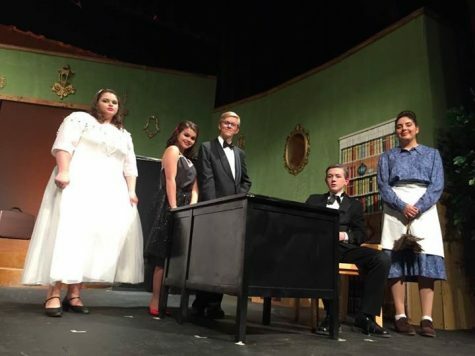 It was another successful show season for the CHS drama department. 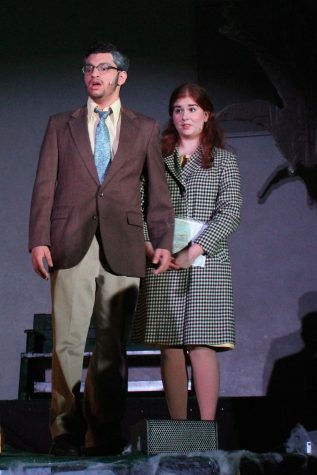 The spring musical The Addams Family wrapped up two weekends ago, and it was a hit. 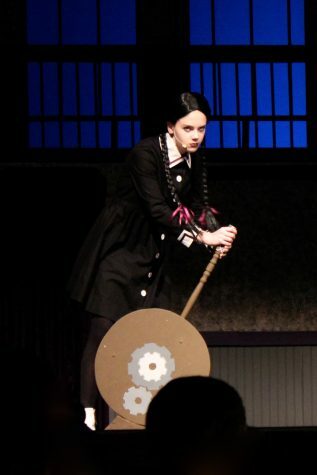 The musical The Addams Family follows Wednesday Addams, the slightly demented daughter of Gomez and Morticia Addams played by sophomore Emily Brady, as she embarks on the adventure that is young love. The majority of the story takes place in the Addams’ household as Wednesday and her soon-to-be fiance Lukas bring their families together to meet before announcing their engagement. The cast of this year’s show was really top notch. Real-life couple Zachary Alleger and Cami Kaylor tackle the roles of the eccentric Gomez and the haunting Morticia, and freshman Christopher Mendez makes his CHS theater debut as Wednesday’s love interest Lucas Beineke. Not to be forgotten are performances by seniors Antonio Lucero and Natalie Hurley as Mr. and Mrs. Beineke, and a performance by Roshan Bozorgnia just may have stolen the show as he cracked up audiences as Uncle Fester. Drama teacher Kellie McCarty never ceases to wow audiences with the shows that CHS puts on. The Addams Family was most definitely proof that there are talents roaming the halls, and maybe even sitting next to you in class.